Natalie Brenner is a wife, mom to virtual twins, and photographer living in Portland, Oregon. She is the best-selling author of This Undeserved Life. Natalie is a fierce believer in the impossible and hopes to create safe spaces for every fractured soul. She is a bookworm, a speaker, and a lover of fall. 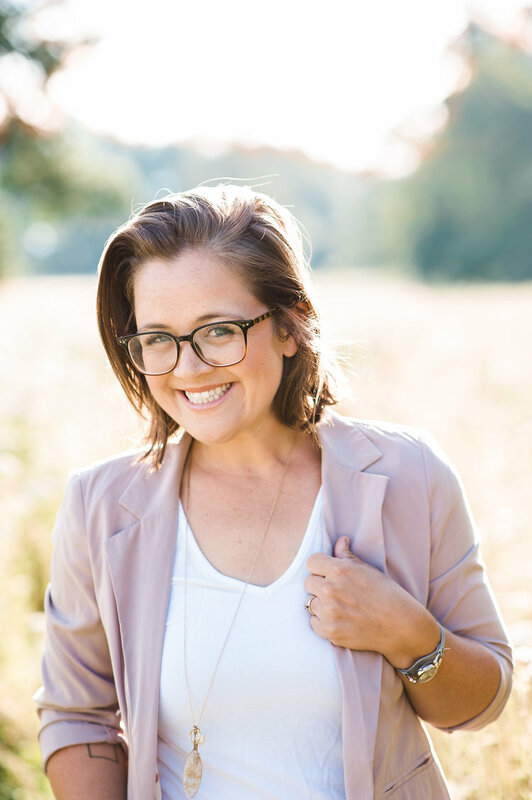 Connect with her at NatalieBrennerWrites.com and join her grace-filled email community. 1. Who is your book, This Undeserved Life, specifically written for? This Undeserved Life is the book I needed multiple times over. 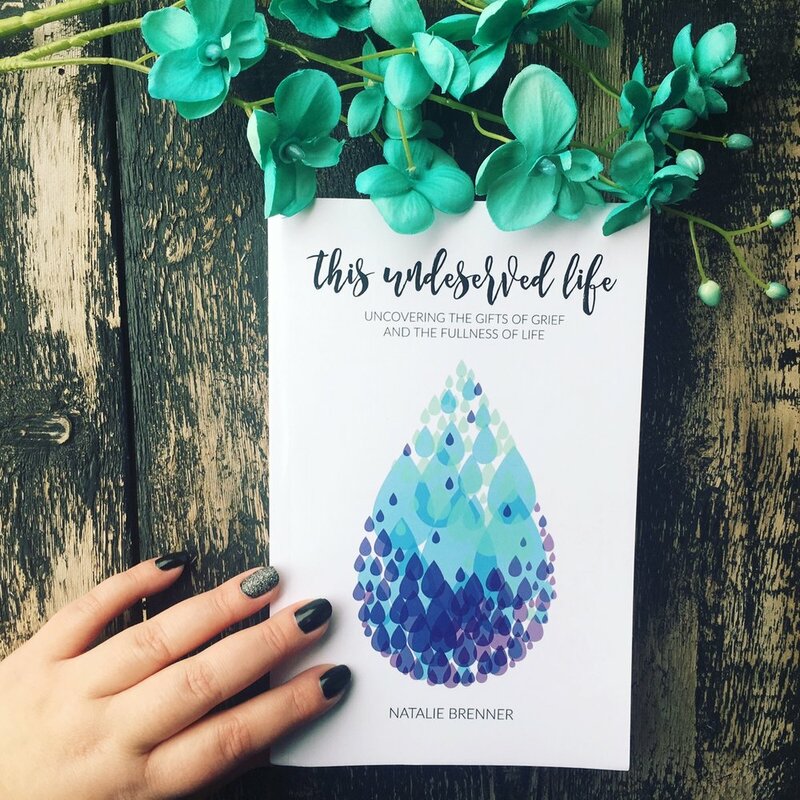 It’s written to the fractured-hearted, the Christian who isn’t quite sure if they’re allowed to feel bummed out, disappointed, and even devastated. It’s written for the person who has been hurt by the church in the thick of their suffering, who has waded (or is wading) through loss, who wonders: is it possible to be devastated and still trust God? 2. This was your first book, which deals with grief and loss of life. What advice do you have to aspiring authors who are hesitant to tell their story? It needs to be told. This world—your unique community—needs the story only you can uniquely tell. There are pieces of your story that will strike chords in other people’s hearts as they read it. The world needs to know it’s okay to voice our stories, there is no shame in our stories, and we are not alone. Be brave, author. It is worth the undoing of yourself. 3. Are there any authors or influencers you look up to and learn from? Absolutely. Jen Hatmaker. Angela Tucker. Sara Hagerty. Rhonda Roorda. Faitth Brooks. Jillian Lauren. 4. What were your three biggest marketing strategies with this book? Launch team: I began inviting people into a Facebook group, Undeserved Book Launch Team, about three months prior to release day. I invited them through my email newsletters, through Facebook messages, and through awkwardly asking my friends. Guest posting: I was on over 20 different blogs and websites as a guest. These weren’t all original pieces: many of them were an excerpt from my book that fit their audience well. Some of these were big influencers, but most were not. I also have been a guest on multiple podcasting shows. Giving books away: I have given away over 100 copies of This Undeserved Life. To influencers, as giveaways, to church and support group leaders. I know the message in this book is valuable and I believe in it. Sometimes that means I need to give away one copy to then have dozens purchased. 5. When did you first start writing This Undeserved Life and when did you know you wanted to publish it? I began writing what I hoped would become a book in April of 2015, while in Europe. Not until I had two babies under six months old and it was a cold December night in 2016 did I really begin feeling the burn to get it published. I realized life was always going to be full and busy—there was never going to be a right or perfect time to write a book. 6. You had lots of awesome goals for this launch (e.g., sell 1,000 copies in first month; have 25 reviews within first week; hit top 100 in one category on Amazon)—how did you achieve some of these goals? I achieved far more goals than I expected! Ha! I am still in awe. I sold 1,000 copies in the first month (700 copies in the first 14 days), I hit #1 in multiple categories on Amazon, had over 50 Amazon reviews within the first month, received an endorsement from at least one best-selling author, and reached my goal of 1,000 email subscribers by release day. None of this was by chance—all of my work has been strategic. I wasn’t sure if I would pull off these goals as little ole me—I had fifty-six email friends in December, zero in January 2017 because I started over—and my social media following amounts to fewer than 10,000. So how did I achieve these goals? I showed up consistently on my website, I guest posted and guest podcasted, I sent engaging and helpful newsletters, and I included my close-knit community in the entire process. I invited my book launch team into decisions about the cover, the author photos, the bonuses, and more. And last but not least: I believe in the message of my book. I believe it has the power to change our life. 7. You always post the most gorgeous photos. Tell us about your photography and how that passion plays a role as an author. Ohhhh, that! Life is such a trip. I became a photographer years ago when we were waiting to become parents—I was a doula and began with birth photography. I was also in vocational ministry and started with many seniors, from free to forty dollars a session. Fast-forward a few years and now people pay me hundreds of dollars and I own this small business I never foresaw to thrive. Five years ago, I may have laughed at you had you told me I would become a high-end photographer. I could write an entire blog post about how being a photographer and author intertwine into one another. It all boils down to me thriving when I make beautiful things for beautiful people. I love people, I love stories, I love helping other people tell their story and freeze precious moments for a lifetime and more. The heart behind my photography business is to create heirlooms for families: I imagine little kids growing up into young adults, seeing these precious moments captured hanging on the walls. Love radiating through the image. They then become parents and their kids see those images and think, “Wow, look at all that love.” I imagine these photographs being passed through generations. I also imagine my writing—especially This Undeserved Life—being a sort of heirloom. It will also be passed through generations in our family and be known as our family’s story. 8. What was the most surprising thing that happened to you during the release of your book? It continues to awe me that Jesus would deem my words and story worthy to help mend broken hearts and soften hardened hearts. Wow. Just wow. What an honor. 9. During the self-publishing journey, we always run into an oops or two. What were some things you had to learn the hard way so our readers know to watch out for it when they publish (e.g., you’re switching your summary to third person)? Ahh, yes. Of course, I wanted to be stubborn and do the back cover in first person. But I am switching it to third person as recommended. Why oh why didn’t I listen? I listened to pretty much every other piece of advice, so I don’t know why I didn’t listen there. Also: I had a huge time crunch for getting my endorsements in. I wish I would have given my tiers of endorsement more time to read my manuscript. 10. For Pregnancy & Infant Loss Awareness Month, you created beautiful prints for those who order during the month of October. What does a reader need to do to get their hands on these colorful printouts? I am a huge advocate for remembering babies gone too soon. If you order a Kindle or paperback copy during the month of October (I will extend through November 15, since this may not be published until then), fill out this form.